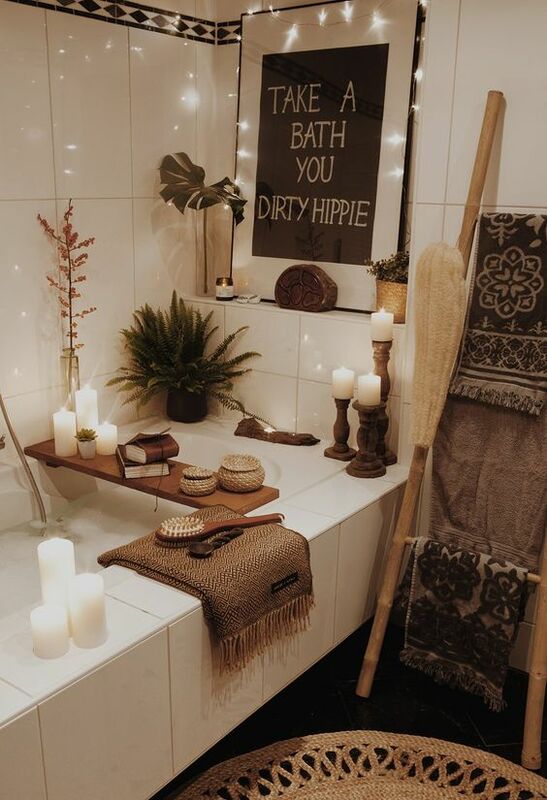 Boho chic style is extremely popular, you can see boho details everywhere, from outfits to space decor. 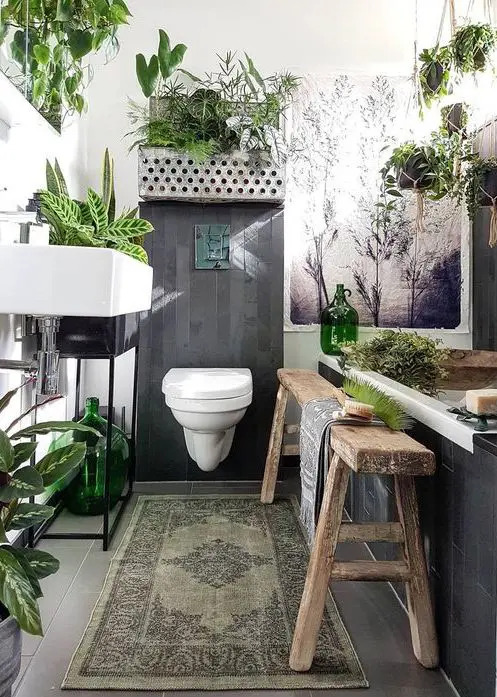 Feel like creating such spaces in your home? 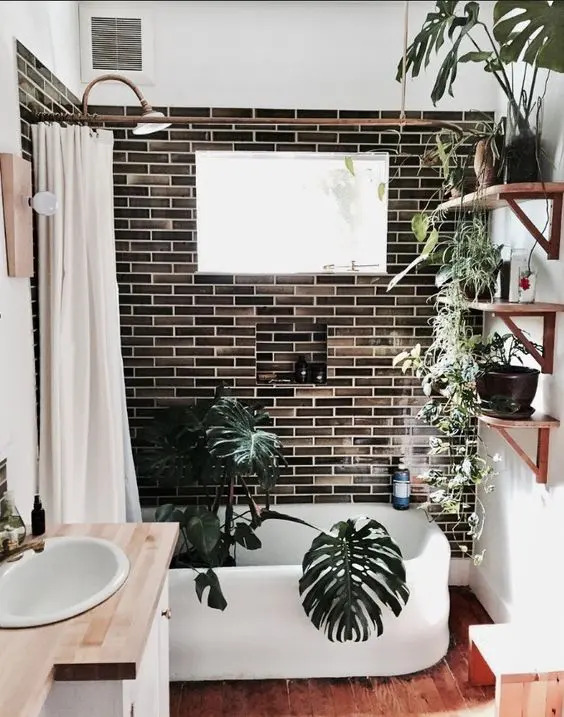 I have some ideas for you! 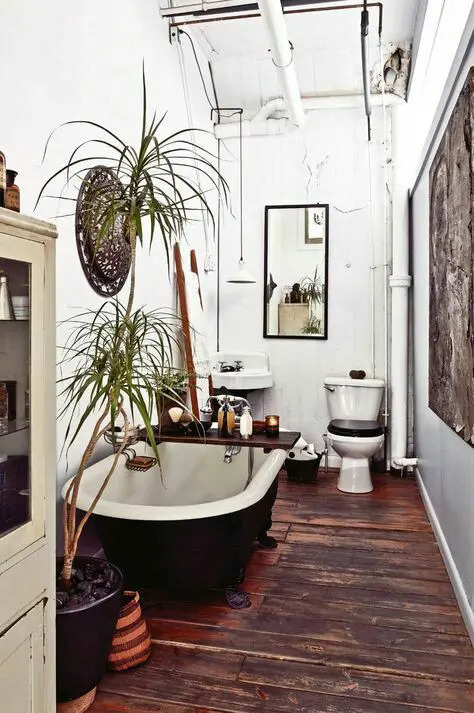 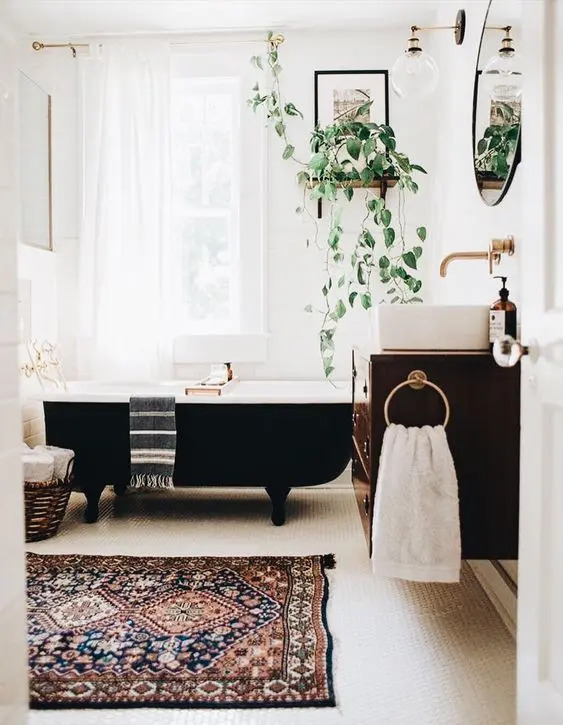 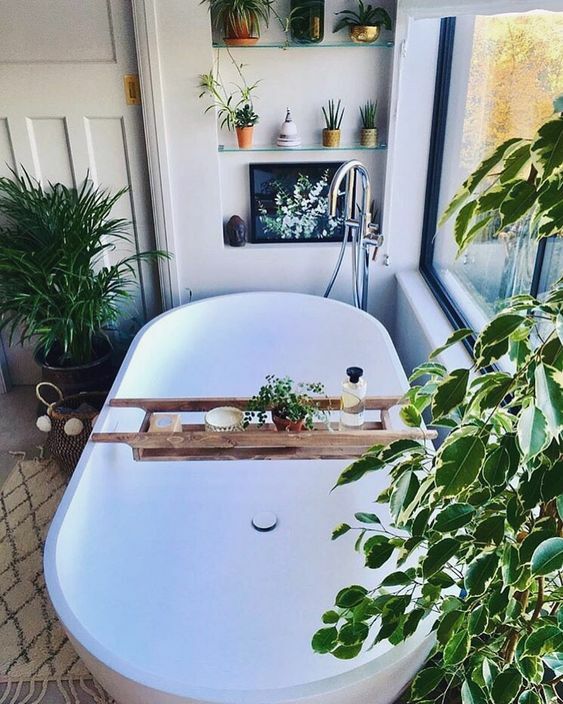 Today’s roundup is dedicated to boho bathrooms, feel free to steal some ideas for your own space! 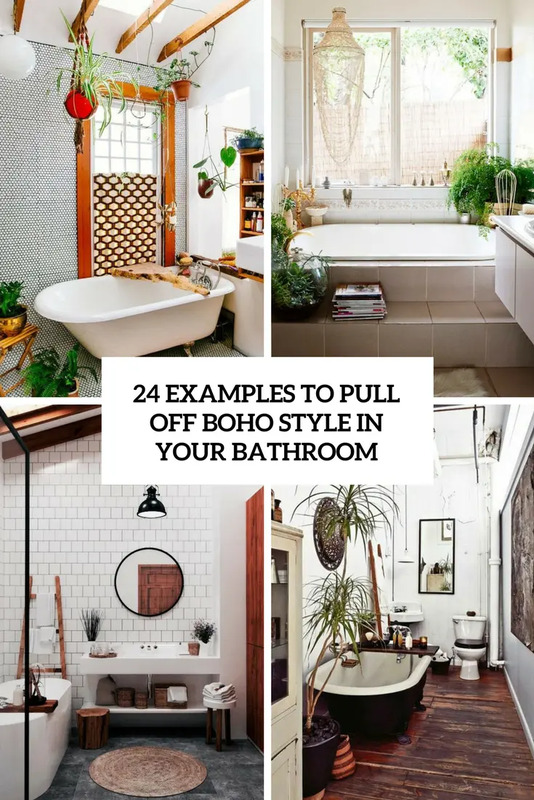 Boho chic or free-spirited style is amazing, and you may mix it with mid-century modern, Moroccan and even modern space just adding some boho touches to it. 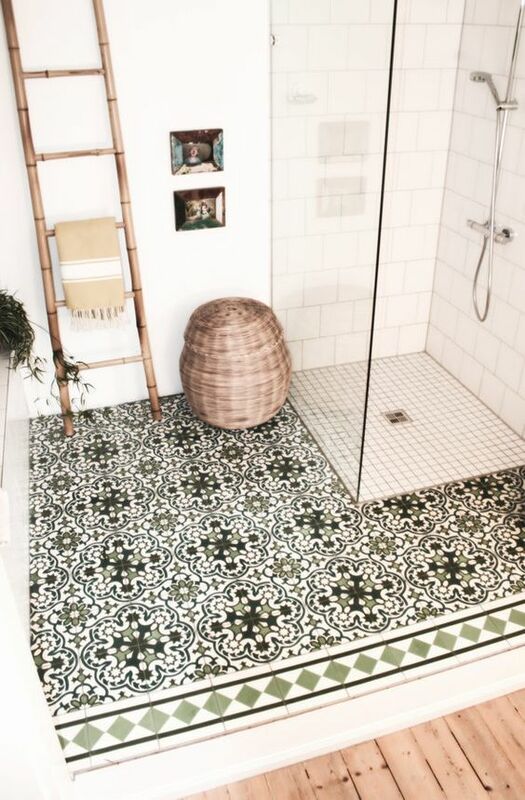 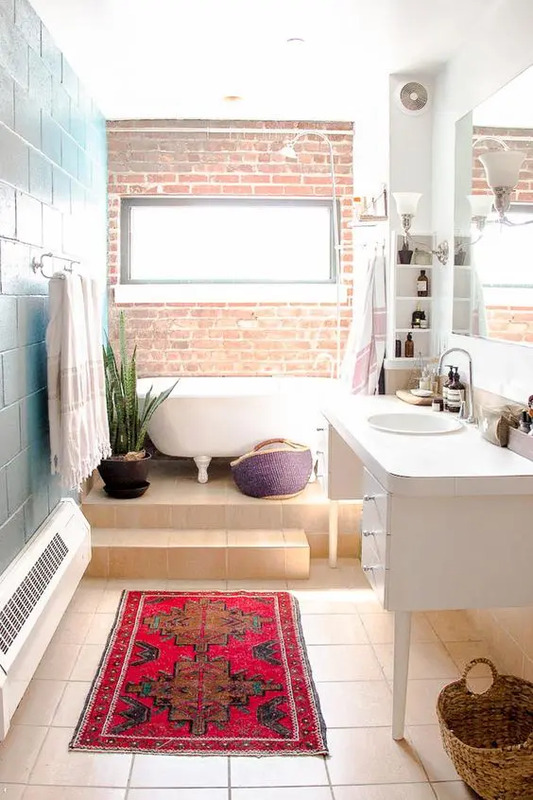 decide whether you want a colorful or a more neutral space and decorated accordingly: with black and white mosaic tiles, with bright patterned tiles for a Moroccan feel, cover the walls with white concrete or plaster for a desert or just boho feel. 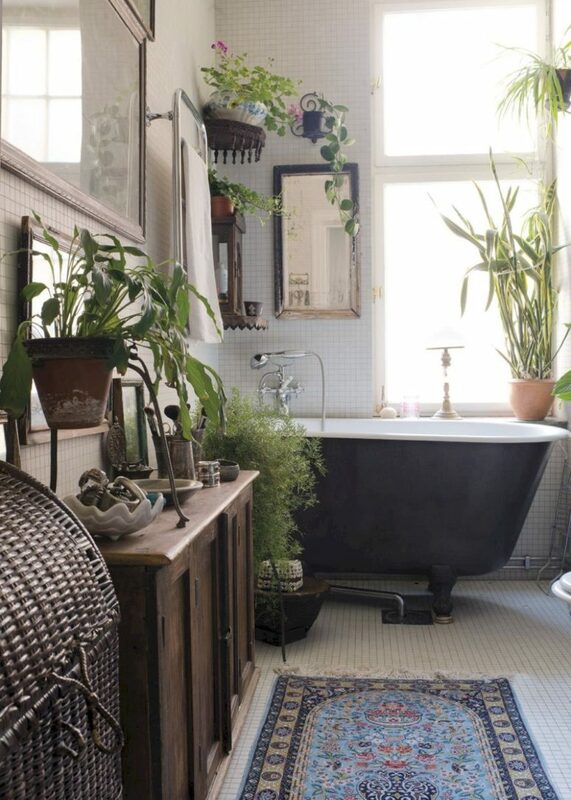 Choose a free-standing bathtub, better a clawfoot one, to achieve that cool boho look. 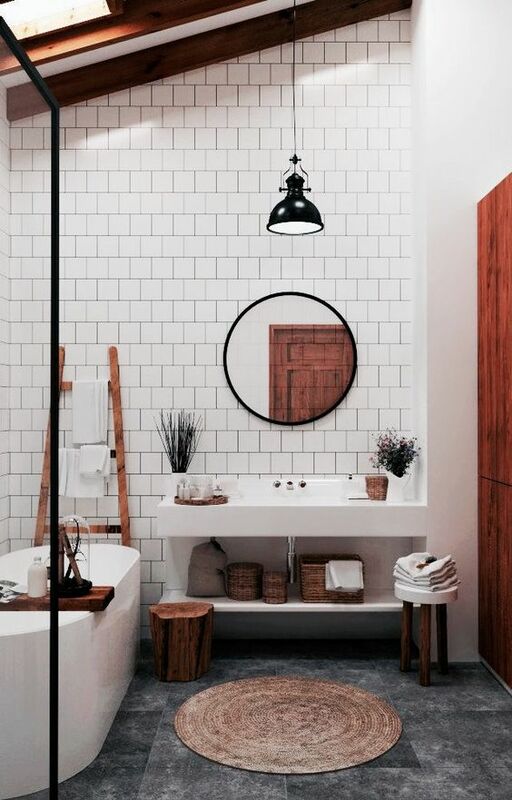 Go for wooden furniture – vanities, cabinets, wood-clad mirrors, bathroom caddies – they can vintage or of more modern looks depending on the ambience you want. 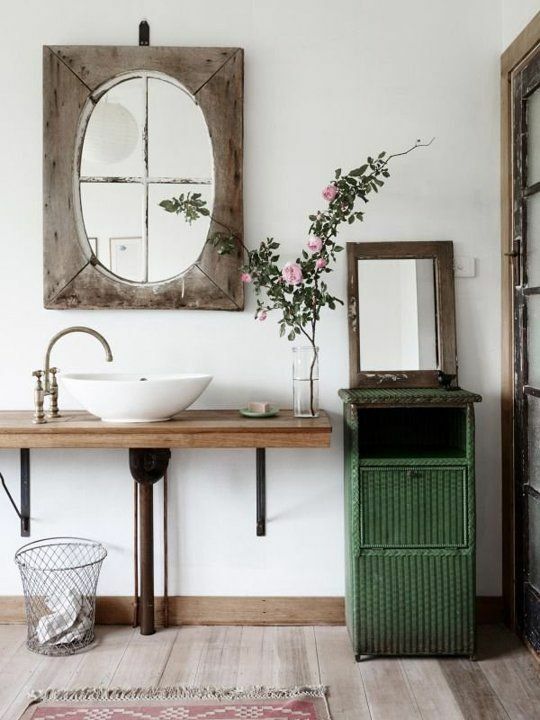 You may also try to add some texture and interest with shiny details like a hammered metal sink, a copper side table, a tree stump ottoman for a bolder look. 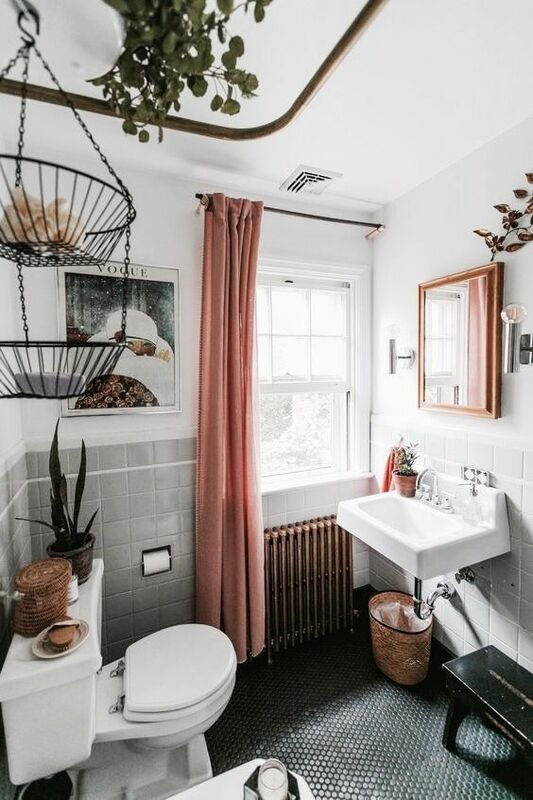 Decor and accessories are what makes a boho space really boho-like. 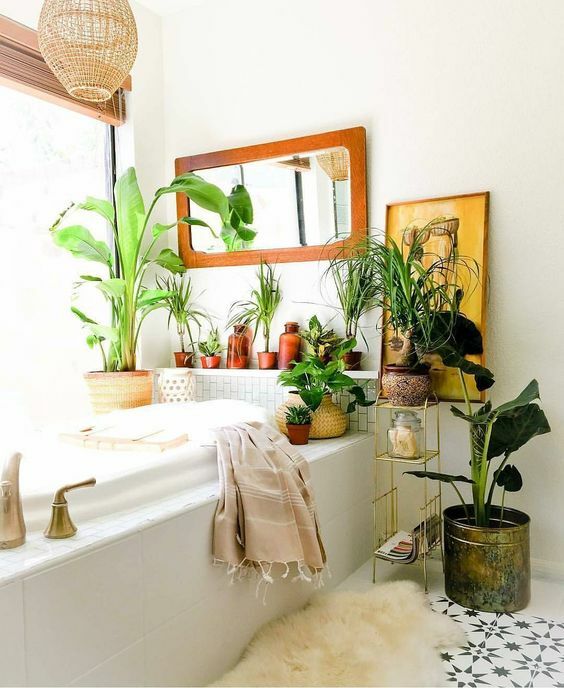 First of all, you need plants and greenery for decorating the space – turn it into a garden! 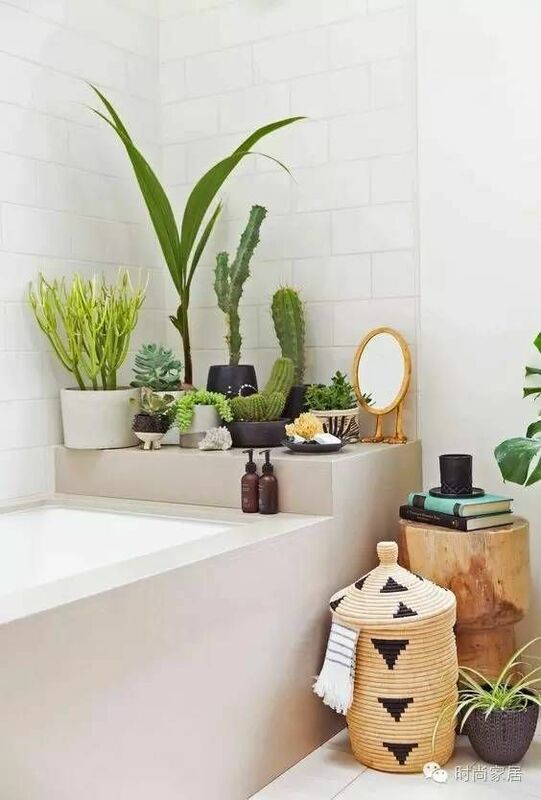 This is a great idea to enliven the space and make it boho-like, boho spaces are characterized with living plants. 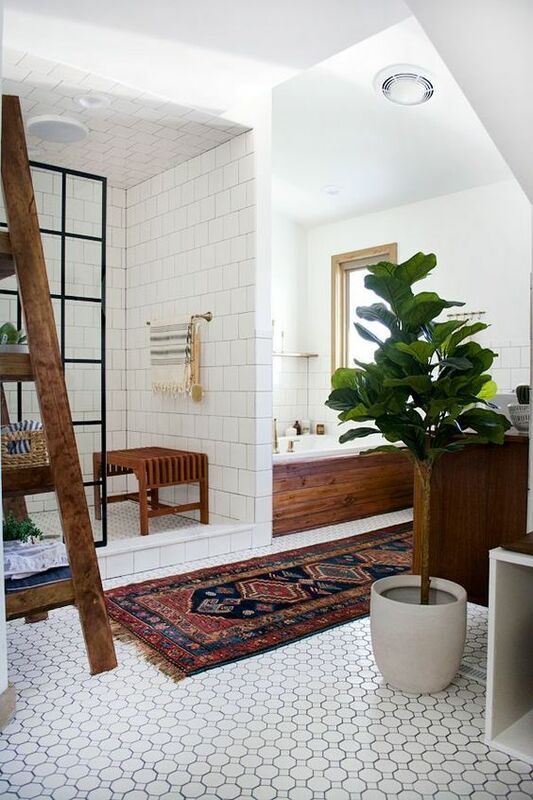 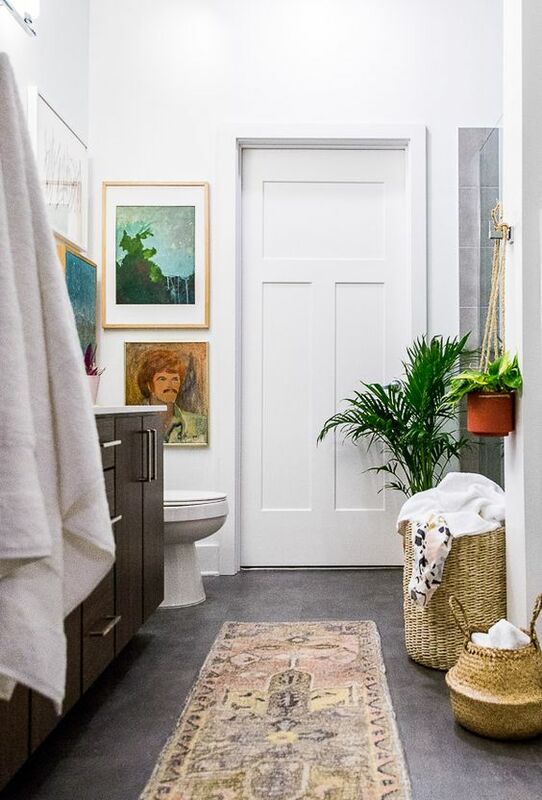 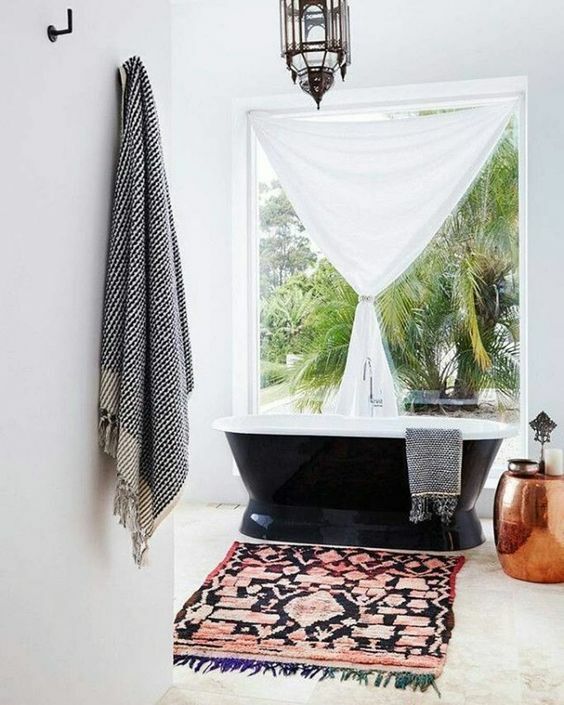 Jute, boho printed or faux fur rugs are welcome for a boho bathroom. 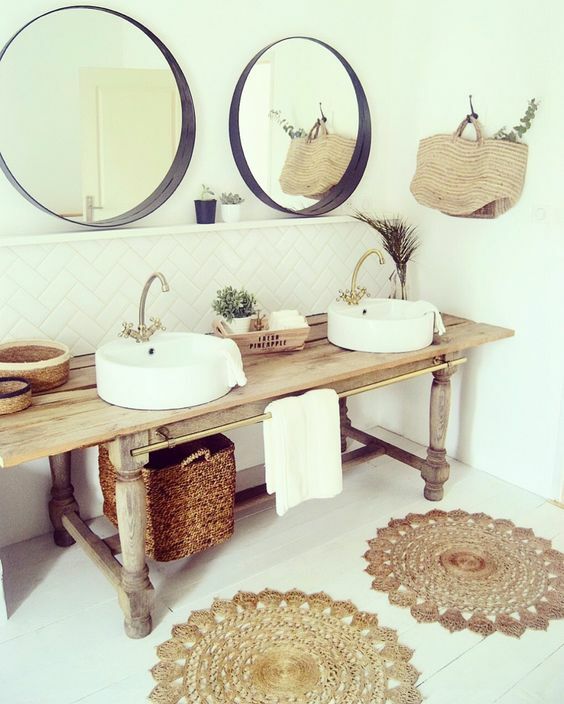 Put several woven baskets for storing towels or for laundry, use a wooden ladder for storage, too – it won’t take much space yet will look rather free-spirited. 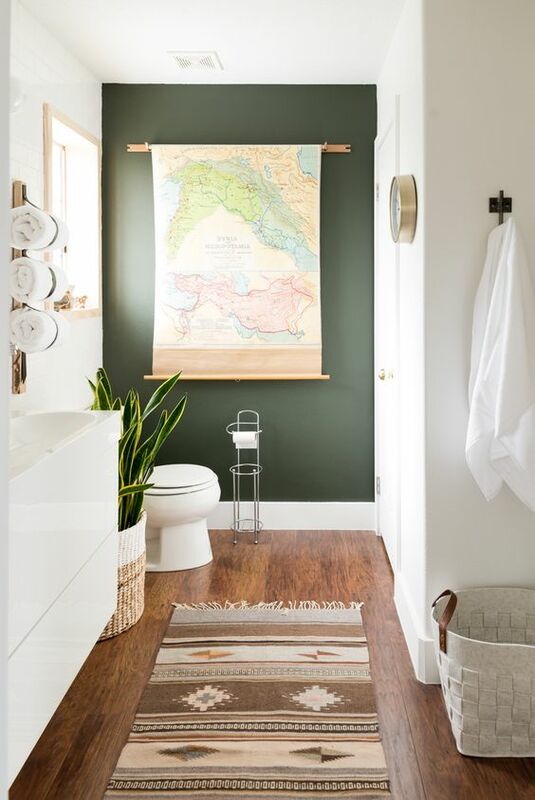 Add some artworks, and they should be folk, boho, creative, you may even use a map as an art piece. 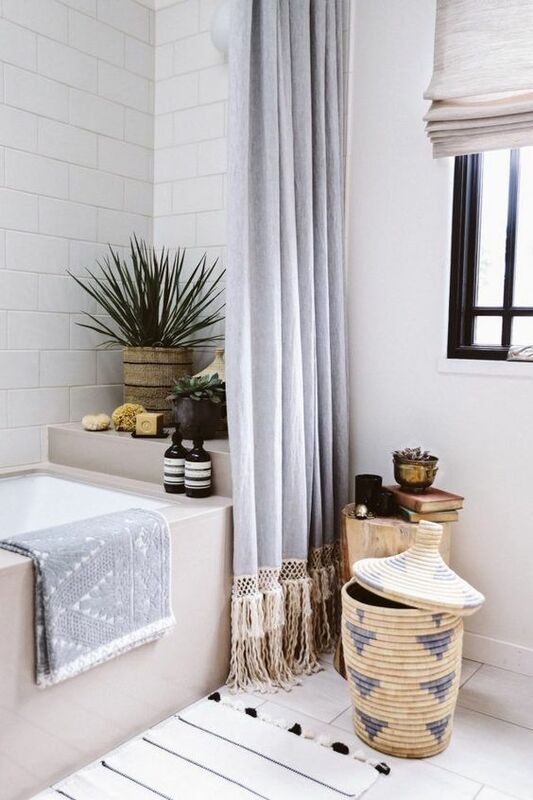 Hang a fringed curtain, place some candles into candle holders for a relaxing feel. 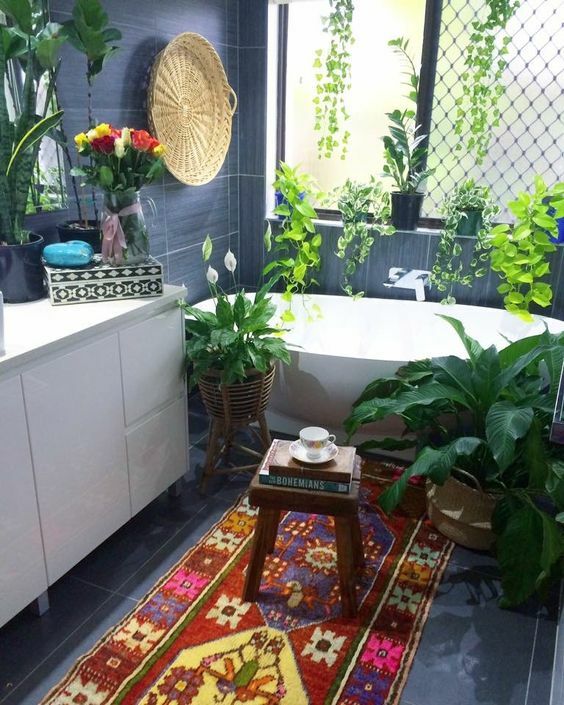 If you want a Moroccan feel, add Moroccan lanterns and candle holders with colorful glass. 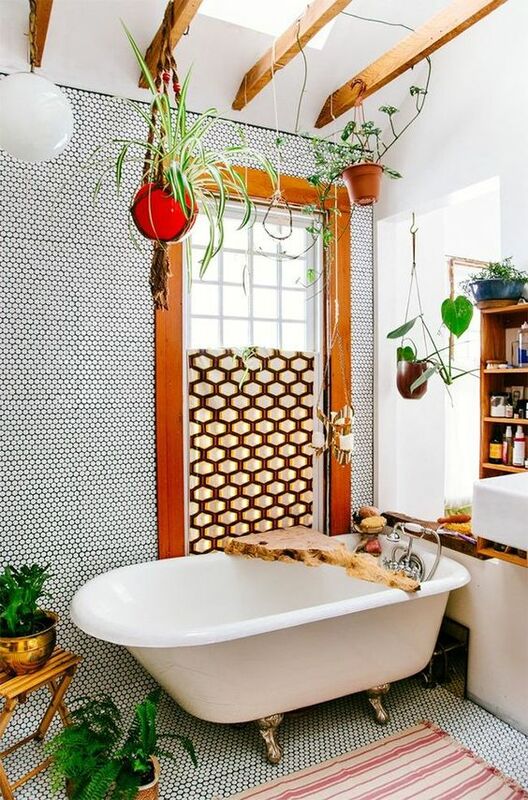 Enjoy your free-spirited oasis!